Can I send a reminder e-mail to all registrants who have not completed certain fields on their registration form? Yes you can do this on the form. You need to setup the form using this 2 guides. 1. Create form Autoresponder E-mail. Hope this help. Inform us if you need help doing this. I set up the forms as described above. Does the system automatically send them if it meets the logic requirement? Can I schedule the reminder e-mail to be sent? Yes, you are right. These conditional email notifications are being sent upon form submissions. Unfortunately, this is not possible as our tool is not designed for such email tasks. 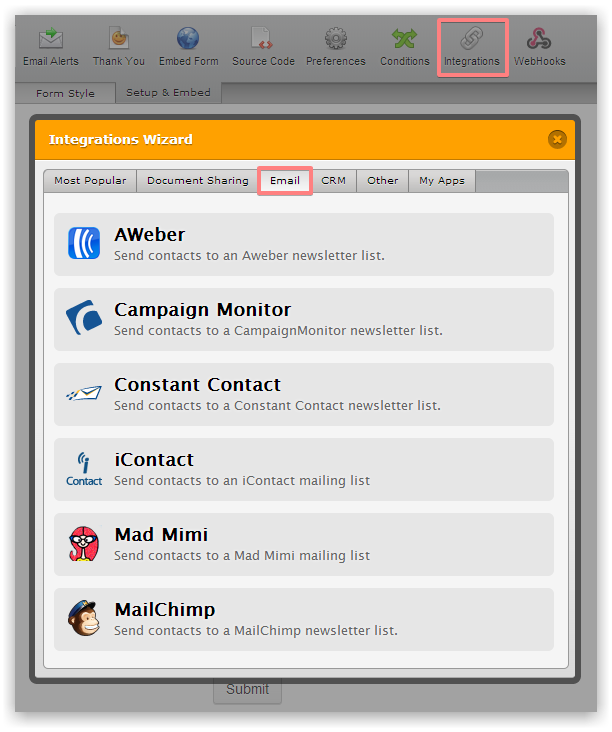 If you need more capabilities in this area, you may consider using integration with some third party Email Marketing service, and then use that service for newsletters/reminders. Is there a way to pull the emails from incomplete forms?